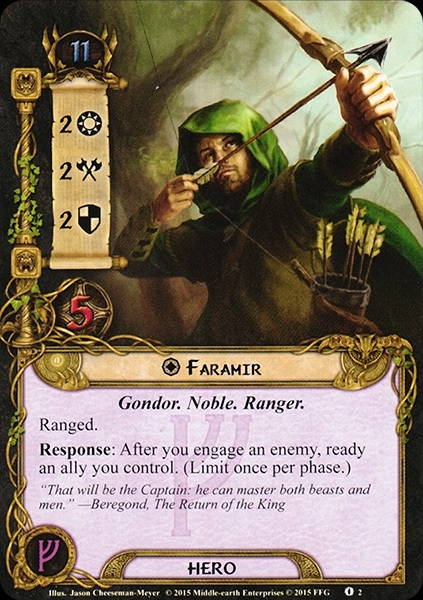 Faramir informed Frodo of Boromir's death, implying Frodo's involvement in it, though Frodo had not known of Boromir's death until that very moment. Unsure of how to deal with his captives, Faramir led Frodo and Sam, blindfolded, to Henneth Annûn. 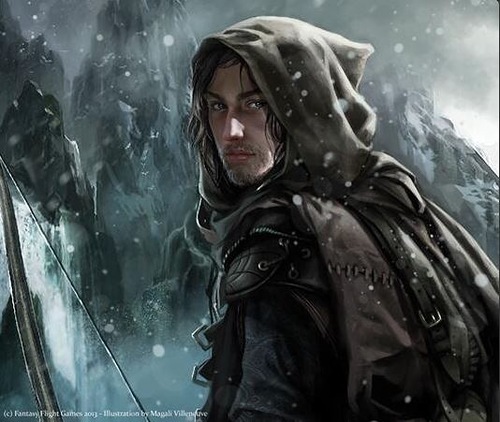 There he questioned them further in private, learning that the hobbits' errand was linked to the 'Isildur's bane' that had sent Boromir to Rivendell in the first place. 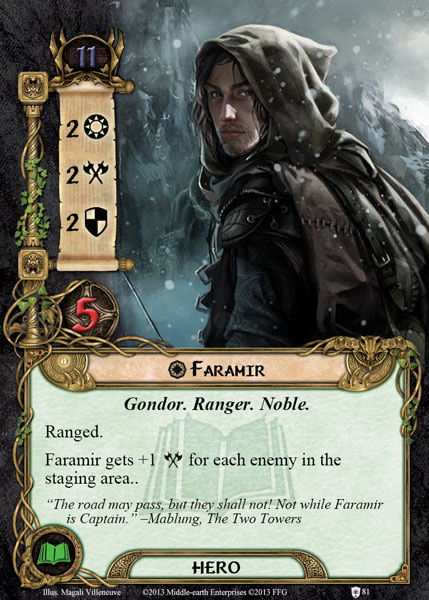 Eager to earn their trust Faramir delivered his famous oath, saying that he '...would not take this thing, if it lay by the highway. 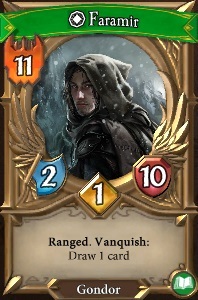 Not were Minas Tirith falling in ruin and I alone could save her, so, using the weapon of the Dark Lord for her good and my glory. No, I do not wish for such triumphs'. 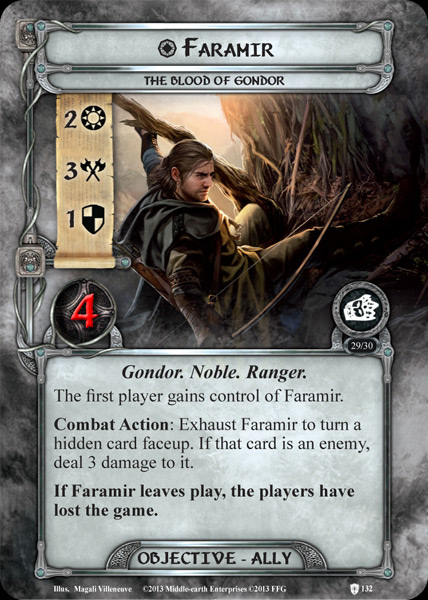 In a slip up however Samwise revealed the nature of 'Isildur's bane' and so Faramir was tested, just as Boromir had been, by the lure of The Ring. Where Boromir failed Faramir succeeded, leading Samwise to remark that Faramir had 'shown [his] quality'. Faramir was, in the words of Tolkien, 'modest, fair-minded and scrupulously just, and very merciful'. His appearance toward the end of The Two Towers apparently was as much of a surprise to Tolkien as it is to his readers. 'I am sure I did not invent him,' he wrote. 'I did not even want him, though I like him'. 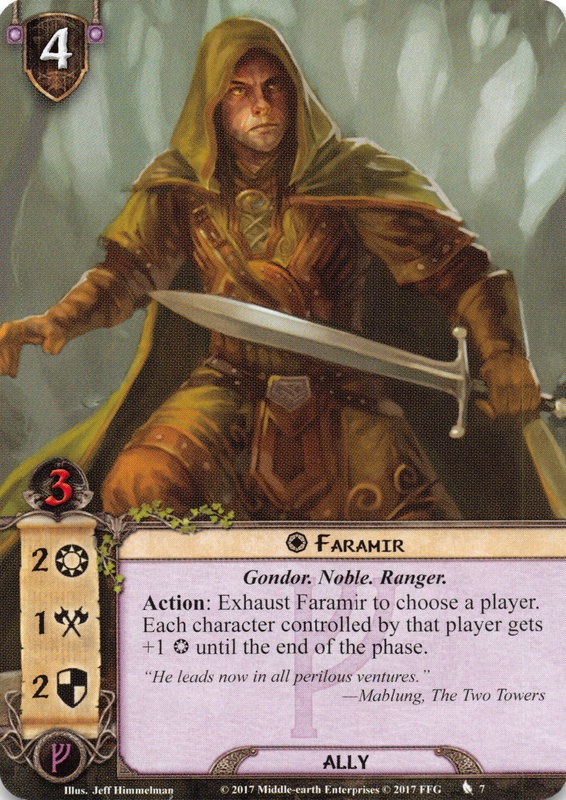 Faramir in many ways speaks for Tolkien, who was a soldier in World War I, when he says, for example, 'I do not love the bright sword for its sharpness... I love only that which they defend'. 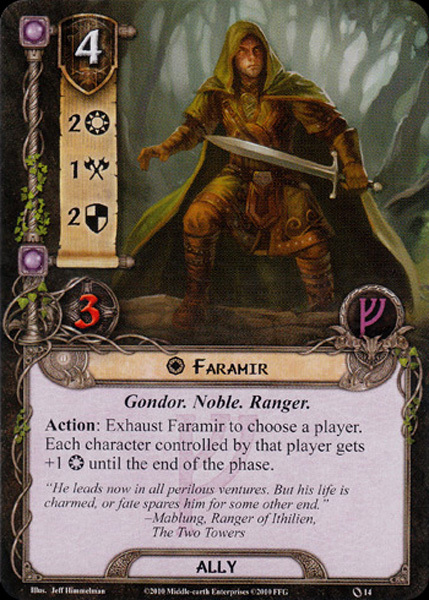 Much later, Tolkien would write, “As far as any character is 'like me', it is Faramir”.